yesterday and day before yesterday. Takumi Nakamura defeated Rikiya Kitada/ Pro in Miyazaki and became the champion. 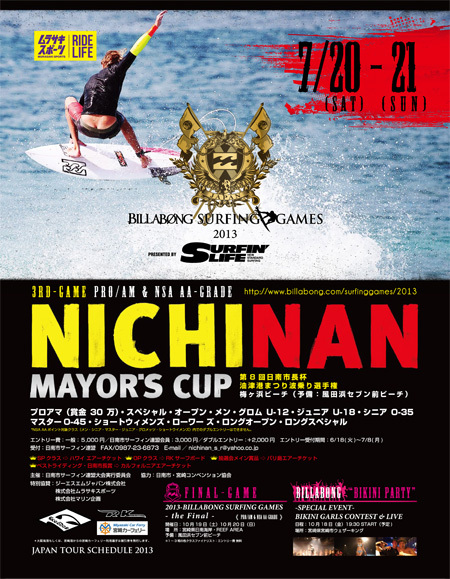 Billabong Surfing Games's final will be held right here at Nichinan/ Miyazaki. I started this project from this year January and it had been the 51st article now. The latest article is about Shinpei Horiguchi's sequence in Okinawa.